If you’re looking for financial stability, bank on marriage! That’s the consensus of a new Gallup survey of investors, who said the two life events that had the most positive effect on a person’s portfolio are tying the knot and buying a house. Most of us think of marriage as a cultural and religious institution — but it’s also an economic one. And what happens to the family has big implications — not just for you, but the country as a whole. The results, which come as no surprise to anyone who’s studied the social science on healthy families, were part of a Wells Fargo/Gallup Investor and Retirement Optimism Index. For the purposes of the poll, they defined U.S. investors as any adult with “$10,000 or more invested in stocks, bonds or mutual funds, either within or outside a retirement savings account.” Not only were marriage and home-ownership the most common experiences people shared, but they were also the most constructive. 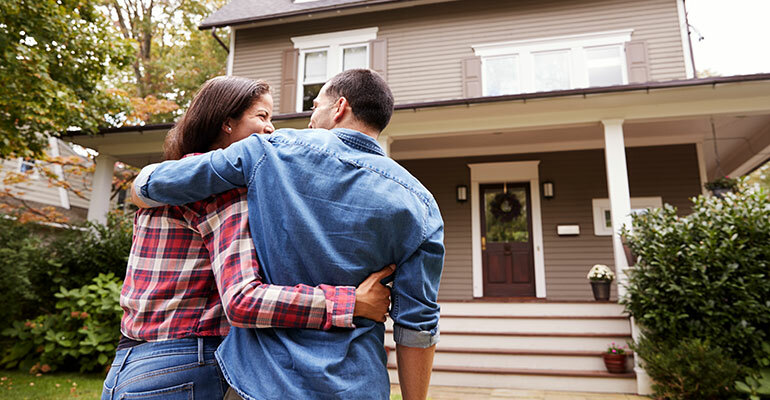 More than eight in 10 investors who have bought a home (84 percent) say the overall impact of this action was positive on their personal finances. Saying “I do” was a close second, coming in just below 80 percent. Having a child, which 62 percent of the investors did, was also considered beneficial. Unfortunately for a lot of young people, the prospects of buying a house and settling down are lot more difficult now than they were for their parents or grandparents. Saddled with massive student loans and the high costs of living, more millennials are living at home than ever before. According to the latest report, 22.9 million of this generation have moved back home, compared to the 19.9 million who are married and living with their spouse. That’s a huge drop-off from the mid-70s when 31.9 million Americans tied the knot and started homes of their own. And while people are still getting married – much later in life — it takes until age 45 for eight in 10 people to walk down the aisle now. But the longer couples put off tying the knot, the more difficult it is to save people from crippling debt or poverty. That’s why promoting marriage and children — in that order — isn’t just important to families, but to the future of America.